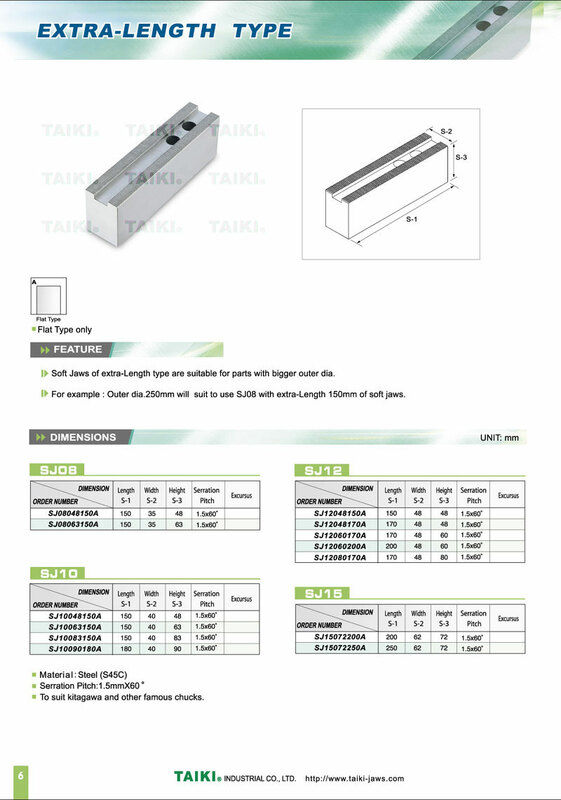 Soft Jaws (Extra - Length Type)(SJ10048150A) - Taiki Industrial Co., Ltd. The soft jaws - extra - length type (SJ10048150A) is used in CNC lathe. For example: Outer Ø250mm will suit to use SJ08 with extra - length 150mm of soft jaws.